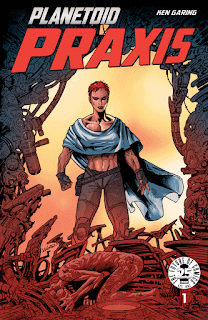 The Fellowship was fortunate enough to obtain a copy of PLANETOID PRAXIS #1 from Image Comics. Ken Garing writes, draws, colors, and letters. It’s been years since the Planetoid was set free, and its inhabitants have survived together ever since. It hasn’t been perfect, but it has been mostly peaceful. One day a small ship lands on the Slab, bearing a visitor from the species who set the trap on the planetoid. The leaders are mostly convinced that the people want to see the Ono Mao dead, and so they kill him. But not everyone is sure it was the right thing to do. This is the sequel to the 2012 mini-series, and the children born since then are already taking an active role in this story. They’re not the leaders, but they are the heart of the colony. And they are already developing into well-rounded characters, which is good since they may have to deal with the effects of the colony’s actions. This issue is a good story intro, and the art helps the planetoid itself become a character in this book. I really liked the first arc all those years ago, and this is shaping up to be a very good continuation of the story of this lost little world. The burdens of leadership is always a tough theme, and I look forward to seeing how this plays out. 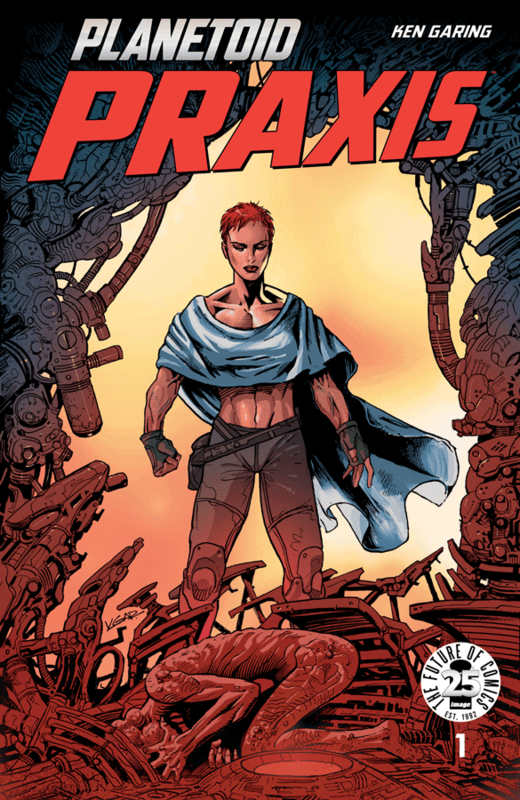 PLANETOID PRAXIS #1 is available now at your local comic shop or at imagecomics.com.